The parking lot at the Bank of America is open for a flat fee of $10. Otherwise, street parking is available. The Blue Plate is located at the stop for the following bus lines: 14, 49 and 67. Bart riders should get off on the 24th and Mission station. 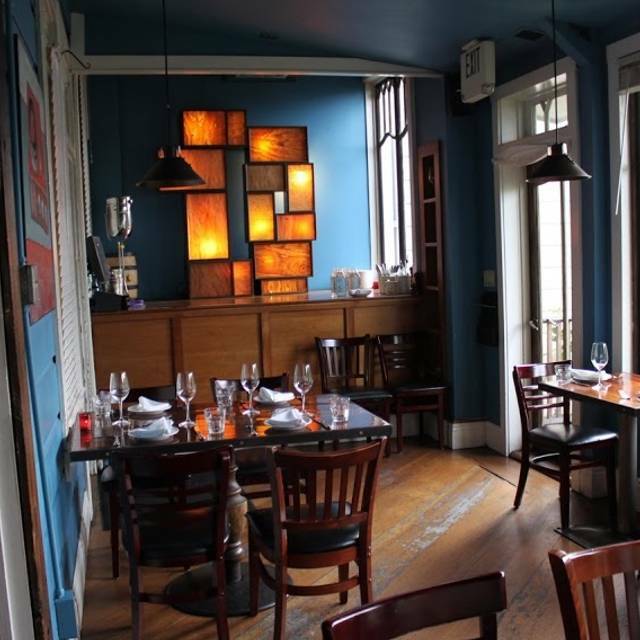 The Blue Plate opened in 1999 as a casual spot where friends and neighbors can enjoy the best ingredients our seasons have to offer. Owners Cory Obenour and Jeff Trenam have created a space that feels like a home, with three distinct dining rooms each appointed with the work of local artists. 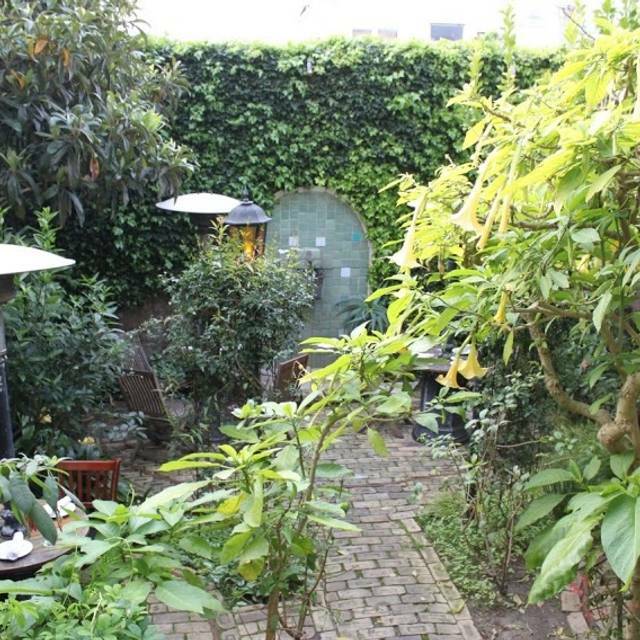 In the back, a lush, night-fragrant garden offers an exotic retreat from the bustle of the city. The kitchen stays committed to using the highest quality local produce and meats in classic American and rustic Mediterranean dishes. 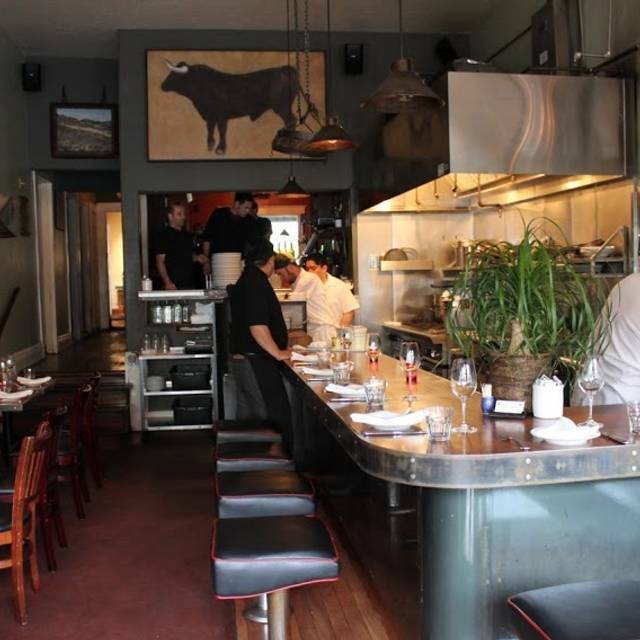 Through a working friendship with Bay Area farmers, the Blue Plate is expanding the notion of "the blue plate special" to include dining that is casual, affordable, delicious and responsible. It was extremely loud. It could be that we sat in the front, next to the front door and the kitchen. I’ll make sure to note it in my reservation to sit somewhere more quiet. Shannon is the friendliest to guests and employees alike. We always have courteous, prompt service. 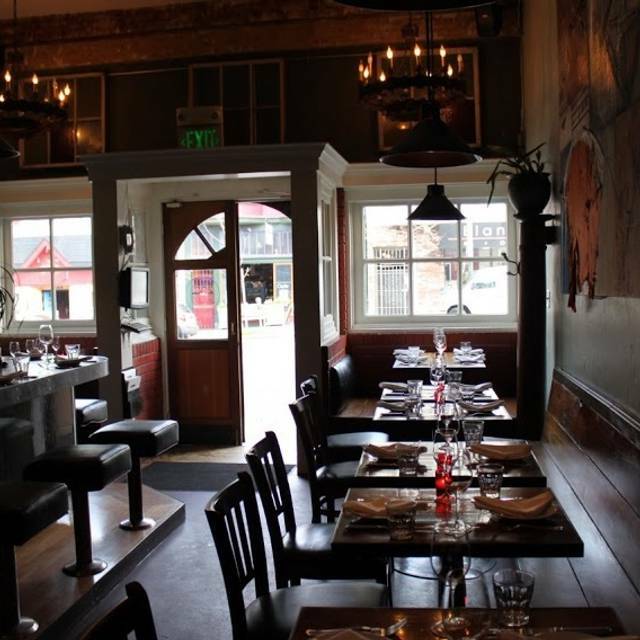 charming restaurant with simple (yet flavorful) dishes, a homey ambiance and quiet enough that you can actually hear the person sitting next to you. perfect place to bring out-of-town guests! Its expensive, so it should be a special place you go with a loved one. Got noisy toward the end, but all in all, a fabulous meal and relaxed setting. 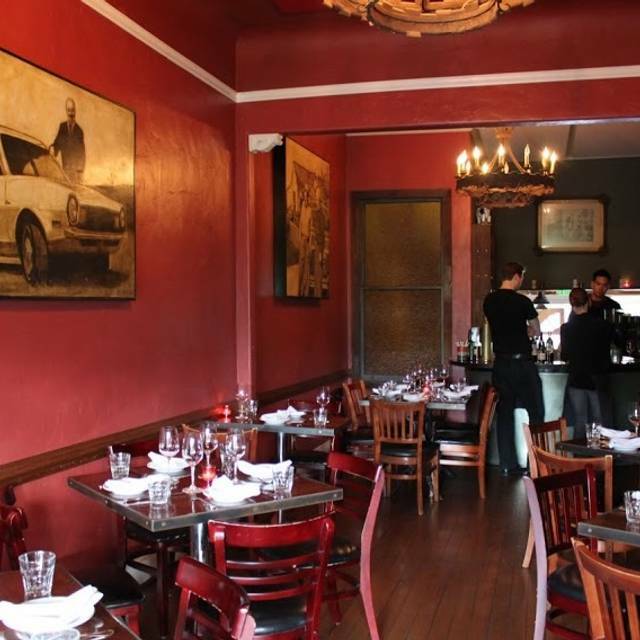 This is our most favorite restaurant in SF! We love the appetizers and small plates. The wine list is delicious-love the Italian wines. The waiters make dining fun and are very knowledgeable of the food. Great place. Hard to beat for a local neighborhood restaurant. Unbelievable food! Between meatloaf and pork chop the ONLY thing on our plates was the bone- totally cleaned. So good. And the service was excellent!! What a find! A friend and I in the City for the weekend, got lucky enough to get a last minute reservation. Everything went smoothly. Food and service was AWESOME! Will definitely be back. Our dinner at Blue Plate was outstanding. 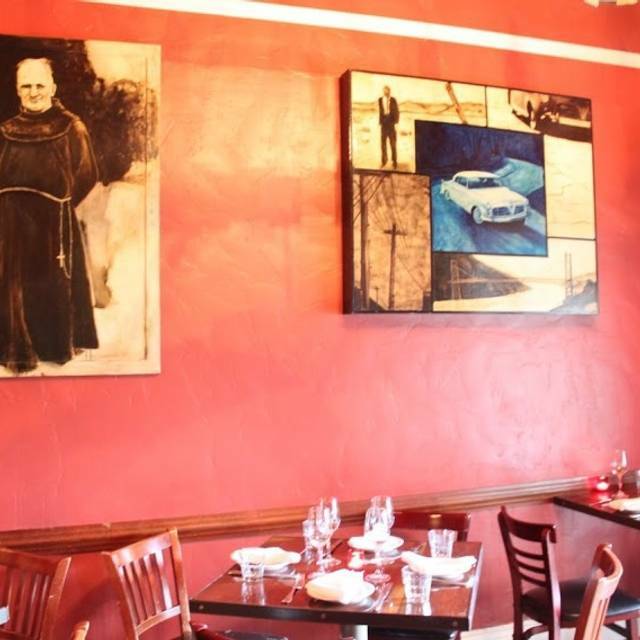 The service was friendly and attentive, and the food was wonderful. We loved the meatloaf and the fondue, and followed our waiter's suggestion for ice cream around the corner. We will certainly be back! BLUE PLATE is a jewel. If you live near it you are lucky and if you find your way to it, all the better. service has personality as does everything about BLUE PLATE. Also - a wonderful counter to sit at if you are one or two people...and watch some of the team work their magic. One of my favorite restaurants in San Francisco. The fried chicken and meat loaf is to die for. The restaurant is not too big, so you better make reservations. The server took wayyyy too long to come back to our table every single time and would just walk past while we waited on a few occasions. Our crab cakes and pan seared scallops were delicious, but not quite enough to fill us up, so we shared a marvelous cheese fondue with freshly baked flat bread. A great meal. Unfortunately the restaurant is in a rather seedy part of town that otherwise has little to offer except for the murals along 24th Street. Great food, service. Can't wait to dine again! The Cabernet Sauvignon by the bottle was delicious and a good value at $55/bottle! Went with a group of 4 and received spectacular service!! Such amazing food and unbelievable staff. This place is always overlooked. Stop in and have the fried chicken! Excellent food and interesting and impressive wine list. We’ve been going here for years and it’s actually improved from good to great. Highly recommended! So well prepared and so fresh. Interesting tastes and blends with a variety of textures and great presentation. We were welcomed as friends and the service continued to be outstanding. As great as usual. Love their menu that doesn't follow fads. Fantastic food. Very good service. My wife and I highly recommend the gnocchi and fried chicken. Amazing! A special place. Great food and service. Feels like a spot that is near and dear to locals. This is perhaps my favorite Bay Area restaurant- always welcoming from the time of entering the door, food is terrific and menu always interesting. Good if small wine list. 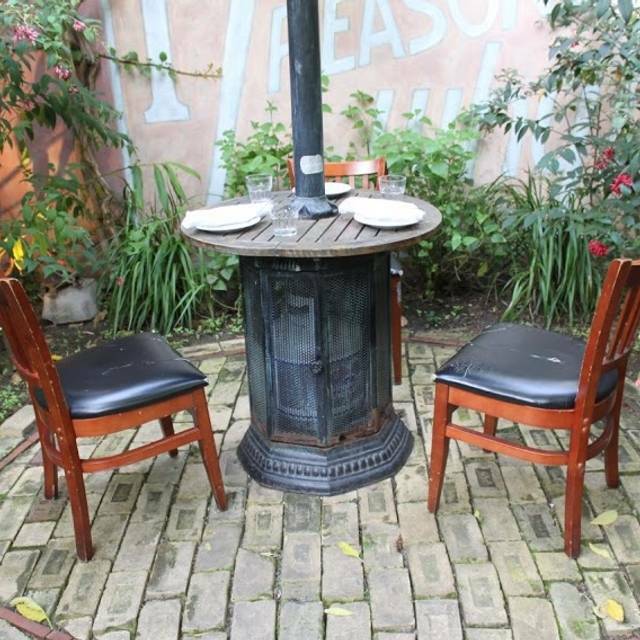 the ambiance is chill and perfect for conversation without being formal or stuffy. In season, the patio is lovely. I hope it never changes! 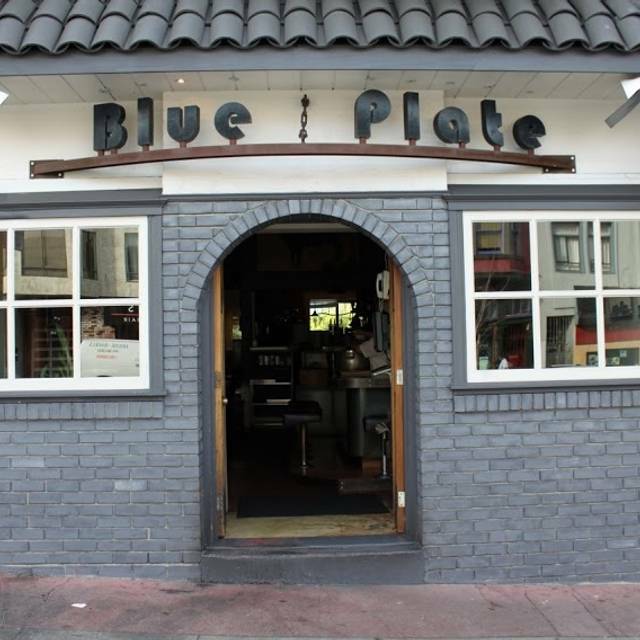 We went to Blue Plate during SF Restaurant Week - the food, environment, and service were amazing! I had the smoked beet burata salad and the grilled hanger steak. I would highly recommend both! I shared a key lime pie & butterscotch pudding - they were both very rich and delicious. The key lime was very citrusy on a ginger flavored crust. Went for restaurant week and had a great experience. The food was tasty and the portions were quite sizable. Great wine as well. I would definitely recommend trying it out. Party of 2 for restaurant week. Bit pricey but in line with other restaurants of similar caliber in SF. The food and presentation was incredible. Beets app, steak, and key lime pie were standouts for me. Went for restaurant week and it was delicious! Amazing gnocchi, parpadelle, fried chicken, butternut squash soup along with key lime pie and a cheap but tasty wine pairing! Went for SF Restaurant Week and had a great time. We were early and seated promptly. We appreciated the complimentary bread at the beginning. The gnocchi was a bit salty but the butternut squash soup was delicious on a cold night. The hangar steak was chewy unfortunately but the fried chicken lived up to expectations. The key lime pie is to die for and the semifreddo was solid. It felt like we were forgotten at the end. We finished our entrees and waited 30+ minutes before being approached to order our desserts. Will come again! Felt like we were in Mama's dining room and the menu offered the same ambiance. Deviled eggs, steak bruchetta to share , and a fried chicken entree. Delicious and a great wine selection! This neighborhood gem never disappoints. I brought some out of town guests here and they were thoroughly charmed. Loved the rock cod, and the delicious Brussels sprouts and macaroni and drunken goat cheese. We ate here around 9:30 on a Thursday night. 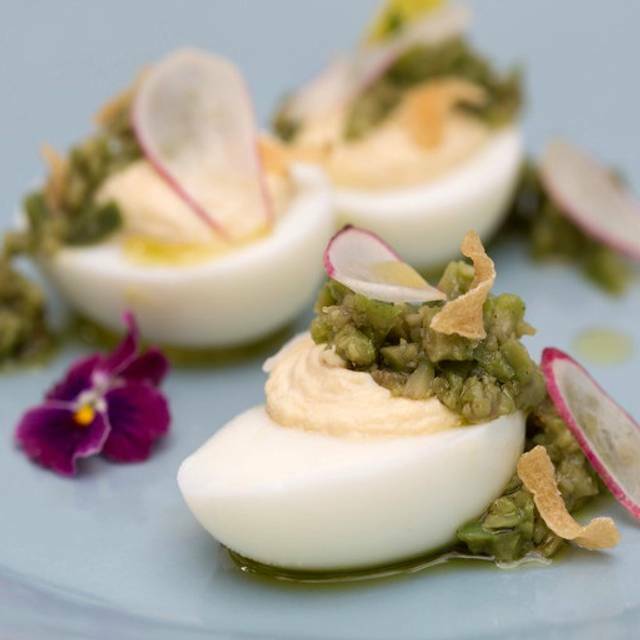 We have a thing for their deviled eggs. Creamy deliciousness. We had the eggs, some wine, salad, fried chicken and Brussels sprouts. Even though we shared everything we still had leftovers. The word must have gotten out because it was packed. There’s something about how cramped and busy the place is - that is appealing. A local favorite and for good reason. Great service and excellent food. Chicken was awesome! Coming here is like a warm food hug. Absolutely love the food and the staff is top notch! One of my fave SF places! We love this restaurant and have always had great eats and a lot of fun there. This last visit the steak came cold and had to be reheated. And, a Sunday night, it was very noisy. Having said all that, it was still a blast. The food was terrific and the service warm and efficient. As I said, we love this place!